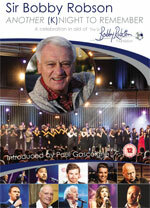 SIR BOBBY ROBSON - ANOTHER (K)NIGHT TO REMEMBER Paul Gascoigne, Alan Shearer, Sir Alex Ferguson, Roy Hodgson, Billy Mitchell, Jim Rosenthal, Mark Knopfler, Joe McElderry, Andre Villas-Boas, Alan Pardew, Steve Harper, Shola Ameobi, Stuart Pearce, Alastair McGowan, Russell Watson, Ruby Turner, Brendan Healy, Faryl Smith, Paul Smith, Ben Ottewell, The Unthanks, The Cornshed Sisters, Scarlet Street. 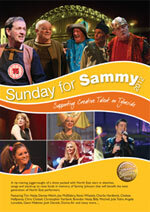 SUNDAY FOR SAMMY 2012 Tim Healy, Kevin Whately, Chris Fairbank, Denise Welch, Brendan Healy, Charlie Hardwick, Chelsea Halfpenny and many more. 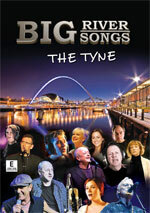 BIG RIVER BIG SONGS - Featuring Sting, Jimmy Nail, Mark Knopfler, Joe McElderry, Jill Halfpenny, Lindisfarne, Claire Rutter and many more. Orders dispatched by 1st class post within 24 hours. Mawson and Wareham Music Ltd first issued Joe Lives! on LP in 1971 and Northern Drift in 1978. In 2009, these recordings were digitally restored by Ken McKenzie, who recalls his first encounter with Alex Glasgow: I first met Alex Glasgow in 1965. I had won the British Amateur tape recording Contest and Alex invited me to be interviewed by him on what was then the BBC Home service. He was charming, friendly and witty as he guided me through the live interview. 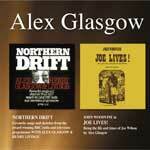 I didn't meet Alex again until Brian Mawson asked me to record Northern Drift at the Edinburgh festival. By this time, I'd moved from amateur recordist to professional recording engineer. This meant that I'd learnt the valuable skill of being able to charge for my work. Alex was still charming, friendly and witty, as was his co-star, Henry Livings. Later, I saw another facet of Alex's character when someone made a racist remark. Alex switched to full-on battle mode and verbally destroyed the bigot. We recorded four shows in two days and later edited the material down to fit on a vinyl LP. 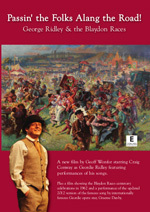 The year 2011 is marked by three notable anniversaries: 10 years since Alex Glasgow died, 170 years since the birth of the Tyneside Bard Joe Wilson, and 40 years since the staging of Joe Lives! � the one man show that Alex wrote for actor John Woodvine. As if you needed reasons to pair up the recordings of Northern Drift and Joe Lives! on this double CD. Film-maker and producer John Mapplebeck has this to say about Northern Drift: Alex and Henry belonged to an age of political certainties. An age when for the first time since Cable street, the barricades were back. Mick Jagger's street fighting Man had plenty of opportunities to exercise his talents, whether it was in front of the American Embassy in Grosvenor square, across trafalgar square in the Poll tax riots, or at Orgreave in support of the miners. Northern Drift: Produced by Keith Statham. CD2 - JOHN WOODVINE in JOE LIVES!